From 6:02 in the morning until 6:02 in the evening on 10/23, many scientists celebrate the unofficial holiday National Mole Day. The Mole is a standard international unit of measure, and refers to the amount of a substance that has exactly 6.02 x 1023 particles in it. This number was derived by Amedeo Avogadro in the early 1800’s and its significance lies in the fact that one mole of atoms of an element will weigh exactly the atomic weight of that element when expressed in grams. For example, 6.02 x 1023 atoms of hydrogen will weigh exactly 1.01 g, while 6.02 x 1023 atoms of oxygen will weigh exactly 16 g.
written by a teacher in the journal The Science Teacher. Then, in 1991, Maurice Oehler, a High School chemistry teacher, established the National Mole Day Foundation as a way of promoting the idea. 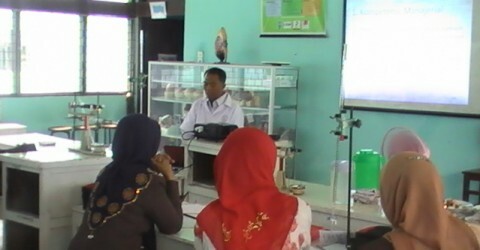 The unofficial holiday has grown into a national educational celebration, in which activities and events are held across the country and even around the world as a way to increase interest in and understanding of science and chemistry. Simply put, the mole represents a number. Just as the term dozen refers to the number twelve, the mole represents the number 6.02 x 1023. (If you’re confused by the form of this number refer to our The Metric System module). Now that’s a big number! While a dozen eggs will make a nice omelet, a mole of eggs will fill all of the oceans on earth more than 30 million times over. Think about it: It would take 10 billion chickens laying 10 eggs per day more than 10 billion years to lay a mole of eggs. So why would we ever use such a big number? Certainly the local donut store is not going to “supersize” your dozen by giving you a mole of jelly-filled treats. The mole is used when we’re talking about numbers of atoms and molecules. Atoms and molecules are very tiny things. A drop of water the size of the period at the end of this sentence would contain 10 trillion water molecules. Instead of talking about trillions and quadrillions of molecules (and more), it’s much simpler to use the mole. 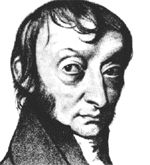 The number of objects in one mole, that is, 6.02 x 1023, is commonly referred to as Avogadro’s number. Amadeo Avogadro was an Italian physics professor who proposed in 1811 that equal volumes of different gases at the same temperature contain equal numbers of molecules. About fifty years later, an Italian scientist named Stanislao Cannizzaro used Avogadro’s hypothesis to develop a set of atomic weights for the known elements by comparing the masses of equal volumes of gas. Building on this work, an Austrian high school teacher named Josef Loschmidt calculated the size of a molecule of air in 1865, and thus developed an estimate for the number of molecules in a given volume of air. While these early estimates have since been refined, they led to the concept of the mole – that is, the theory that in a defined mass of an element (its atomic weight) there is a precise number of atoms: Avogadro’s number. Other atomic weights are listed on the periodic table (see our Periodic Table page). For each element listed, measuring out a quantity of the element equal to its atomic weight in grams will yield 6.02 x 1023 atoms of that element. The atomic weight of an element identifies both the mass of one mole of that element and the total number of protons and neutrons in an atom of that element. How can that be? Let’s look at hydrogen. One mole of hydrogen atoms will weigh 1.01 grams. Each hydrogen atom consists of one proton surrounded by one electron. But remember, the electron weighs so little that it does not contribute much to an atom’s weight. Ignoring the weight of hydrogen’s electrons, we can say that one mole of protons (H nuclei) weighs approximately one gram. Since protons and neutrons have about the same mass, a mole of either of these particles will weigh about one gram. For example, in one mole of helium, there are two moles of protons and two moles of neutrons – four grams of particles. If you stand on a scale with a friend, the scale will register the combined weight of both you and your friend. When atoms form molecules, the atoms bond together, and the molecule’s weight is the combined weight of all of its parts. For example, every water molecule (H2O) has two atoms of hydrogen and one atom of oxygen. One mole of water molecules will contain two moles of hydrogen and one mole of oxygen. A bottle filled with exactly 18.02 g water will contain 6.02 x 1023 water molecules. The concept of fractions and multiples described above also applies to molecules: 9.01 g of water would contain 1/2 mole, or 3.01 x 1023 molecules. You can calculate the molecular weight of any compound simply by summing the weights of atoms that make up that compound.